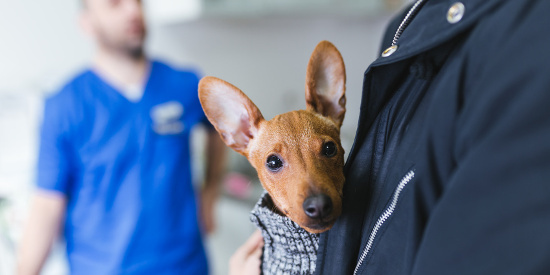 Choosing a veterinarian is an important task when you're a new puppy parent because keeping little Fido healthy is at the top of your list of responsibilities. Your vet is going to be your partner in this important task, so it pays to choose someone that you like and trust. Taking the time to choose wisely right now will be worth the effort! 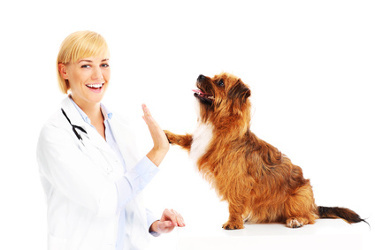 There are a variety of ways to find veterinarians and veterinary clinics in your area. First of all I'd suggest talking with local friends, work-mates and family to see who they trust with their precious pets. If your dog is purebred, you may want to check with any local breed clubs, groups, organizations or owners. Some veterinarian's are more knowledgeable about certain breeds (and their inherent health issues) than others. Word of mouth recommendations are a great starting place. You can also look online for suitable clinics, then drop by to take a look around and get a feel for the place before you make an appointment. 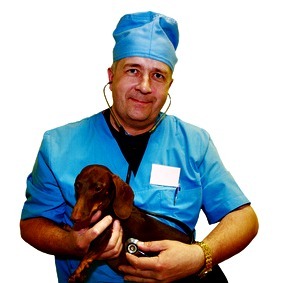 When you're choosing a veterinarian for your pets it pays to take your time. Simple things like checking out the convenience of the location, the hours the clinic is open, the cleanliness of the place and friendliness of the staff and so on. If your first impression is good, you can move onto the second step - making an appointment to visit with the veterinarian/s. This Veterinary Clinic Evaluation Checklist will help you cover all your bases. When you go to meet with the veterinarian, take your puppy along with you if possible. It's a good way to introduce him to the sights, sounds and smells of an animal clinic - without the trauma of shots or procedures. The staff should be very willing to make a fuss of him, they may even have special treats for their doggie visitors and this will really help build up his self-confidence. Feeling comfortable in the veterinarians office will reduce the stress and anxiety of future appointments. When you speak with the veterinarian, be sure to ask all the questions you want - it helps to take a list with you so you don't forget anything. Things such as what puppy shots he recommends and his opinion on diet and supplements etc. are a good place to start. If you're interested in holistic, homeopathic or complimentary treatments it's important to find out how the veterinarian feels about that. When evaluating veterinarians you need to be sure that you pick someone who shares your philosophies. There is one other point worth mentioning, and that is to check the charges made for regular visits, vaccinations etc. as costs can vary quite dramatically from one clinic to another. Although you should expect to pay a reasonable amount (and NEVER make a decision based solely on price) when you're choosing a veterinarian make sure that you're not being overcharged for routine procedures and appointments. I've put together a quick check list that you can use when evaluating a veterinary practice. Is the clinic clean and well organized? Are equipment and furnishings modern and well cared for? Is staff member appearance smart and professional? Are staff members friendly/welcoming, to you and your pets? Are the veterinarian/s qualified with board certification? Are there licensed vet techs in the practice? Is the location convenient for you? You'll be visiting often. Are there plenty of safe parking spots? Are you happy with emergency services and provisions? Are there same-day or emergency appointments? How can appointments be made/confirmed. Phone/email/text? What diagnostic tools or procedures are done in-house? Are there any special/annual pet-care plans? Which payment options are accepted. Is pet insurance accepted? Are there any discounts ie student/senior/multi-pet etc.? Are there grooming/boarding services on site? Finally it's worth remembering that picking a specific veterinarian now doesn't lock you into a life-long relationship! Changes of staff or policy, rising fees, inadequate care for serious conditions, relocation, changes to opening hours, even personality conflicts..... any of these (and many more) could make your choice of vet a poor fit somewhere down the road. 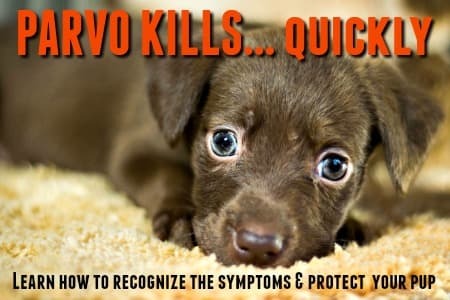 If that happens, don't be too worried, it's perfectly okay to go through the process again until you find another veterinary facility which better suits your needs. It's also fine to get a second, or even third, opinion on any condition that you feel isn't being treated adequately, or on veterinary recommendation that you are not comfortable with. 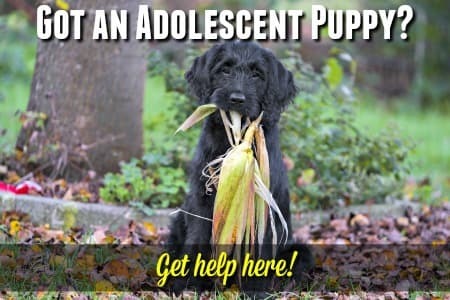 Your dog is relying on you to keep him safe and healthy, don't let him down.